In this video, Ed Johnson, former owner of Johnson Brothers Lapidary in Placentia, CA, demonstrates the most common lapidary applications for Satellite City CA glue. Ed uses Hot Stuff Original to stabilize fractures and soak into porous, weak rocks and bones to harden them, and he fills in the gaps in his rocks with Super T medium and Special T thick instant glues before grinding and polishing them. The NCF Quick is used to quickly cure the glue, and he also keeps some solvent handy in case he needs to get glue off of his hands. Satellite City instant glues have been used in the lapidary field for decades. Our Hot Stuff, Super T, and Special T CA glue are fantastic not only for rocks but also bones. 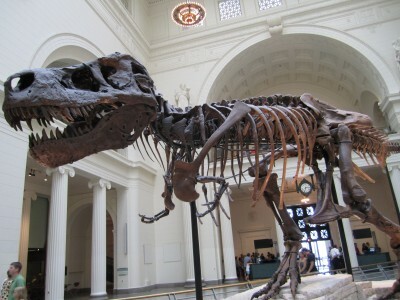 In fact, as Ed relates in the video below, Hot Stuff glue was used extensively by the Black Hills Institute in the excavation of Sue, the largest most complete Tyrannosaurus rex ever discovered so far and currently displayed at the Field Museum in Chicago. The bones were impregnated with Hot Stuff as they were unearthed in order to preserve them.